The decision has been welcomed by Enfield Council and the Tottenham Park Cemetery Action Group (TPCAG) – the community group representing relatives, who have been campaigning for government intervention into the poorly maintained site. The North London cemetery, which recently went into administration, is the largest burial site in Britain for the Turkish community. For years, relatives have made repeated complaints about a host of problems on the 2.4 hectare site in Edmonton. In recent months, these have included calling in the police over the discovery of human remains scattered across the site, as well as highlighting missing graves, and calling for remedial action over the densely packed plots and trip hazards that make access in parts of the cemetery extremely difficult, especially for those less mobile. As the site is privately owned, for years the local authority has claimed it did not have the statutory powers to act. However, the local authority did facilitate a health and safety inspection of the site at the beginning of the year, which confirmed visitors’ fears that the site posed a ‘grave risk to health’. The cemetery was closed to visitors for a month for urgent repairs. However, relatives were dismayed when the cemetery reopened in March with many of the original problems untouched. 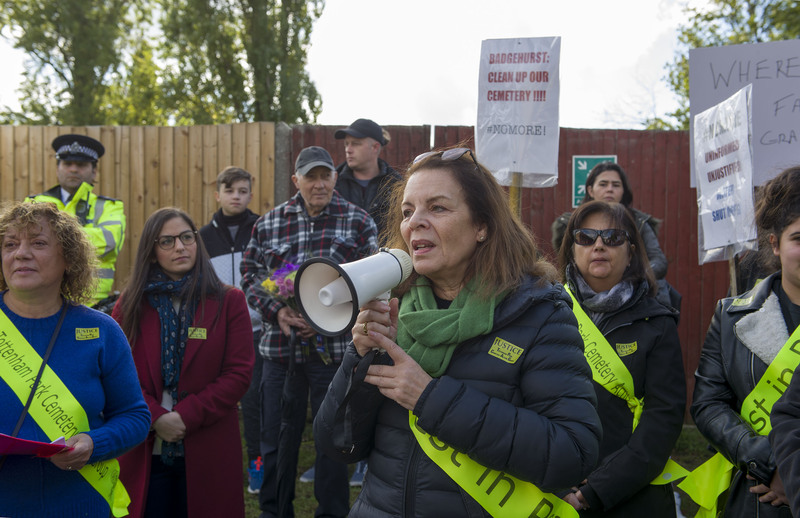 The lack of action from the owners led to the formation of the Tottenham Park Cemetery Action Group (TPCAG), which has been lobbying local and central government to intervene. Their campaign, backed by local MP Bambos Charalambous and Enfield Council Leader Nesil Çalışkan, has attracted national media attention, with coverage on the BBC, ITV, and in the Guardian. On Friday, 30 November, Enfield Council issued a statement confirming the Ministry of Justice was going to take action over the cemetery. 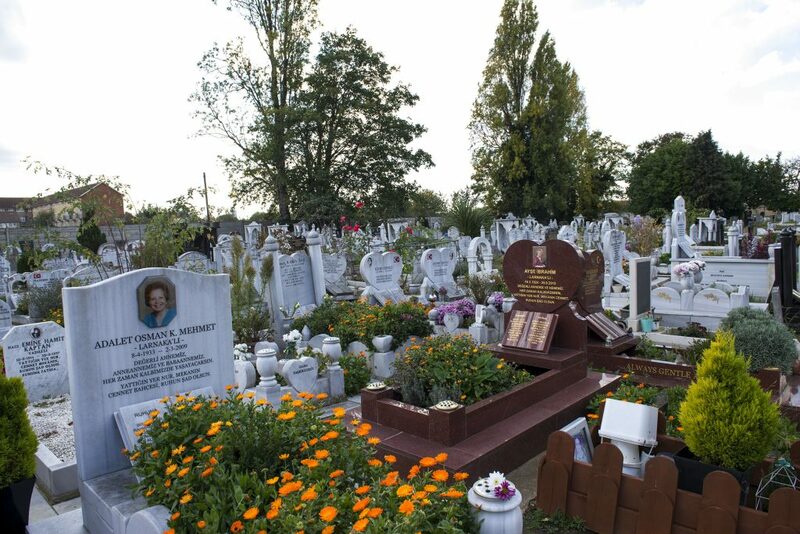 “Enfield Council has welcomed the appointment of an inspector by the Ministry of Justice, who will investigate very serious concerns raised about the condition, practices and management of the privately owned and operated Tottenham Park Cemetery. “The cemetery recently went into administration. It had previously been subject to a number of complaints from the Tottenham Park Charitable Trust and the community about the way it was being managed. “Enfield Council leader Cllr Nesil Caliskan, met officials from the Ministry of Justice in September to discuss the case and urge the Ministry to intervene in the case. “The MOJ has confirmed the appointment of Peter Mitchell as an inspector with a remit to investigate concerns around the condition of the cemetery. The statement also included comments from the council leader, who said: “It is right and proper that the Ministry of Justice has appointed an inspector to inspect the cemetery so that these deeply upsetting concerns can be addressed and I am pleased that this has happened and that he will be reporting back by 20 December. This is something that I and the Tottenham Park Charitable Trust have been calling for.